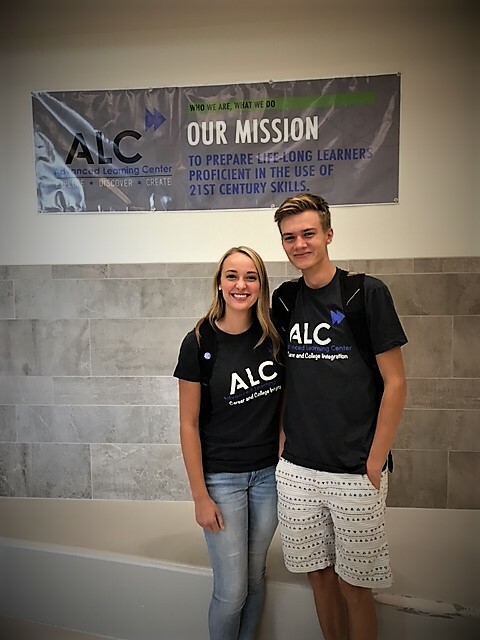 STUDENTS, THANK YOU FOR WEARING YOUR SHIRTS AND FOR SHOWING YOUR ALC PRIDE. It is so fun to walk down the halls and see the students in our ALC t-shirts. We have a lot of pride here at our school. The ALC is a unique school because all 5 high schools attend here together. It's great to see the students interact with one another, even though they are from rival high schools. The atmosphere and camaraderie here at the ALC is a breath of fresh air for the faculty and staff to witness. If there are any of you that would like to purchase a t-shirt, they are for sale in the front office. The cost of the t-shirts is $ 5.00.